Last week myself and approximately sixty thousand of my new best friends made the trip to Boston to attend Penny Arcade Expo (Pax East). While at PAX I had the opportunity to attend the weekend’s opening keynote panel featuring a talk by Jane McGoginal. Ms. McGonigal was a motivating speaker who touched base with many attendees and spoke of how games make us better, stronger, and can help us with our daily lives. Read more of my article at GamerFitNation.com . Go on, click here! 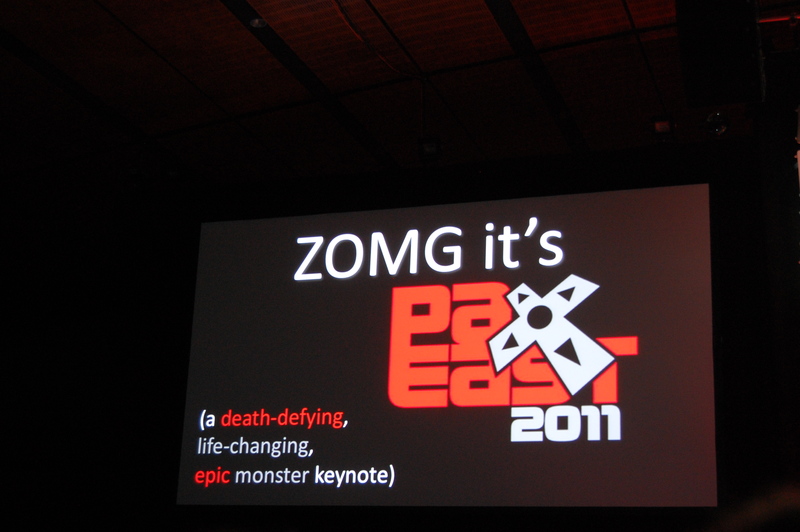 Posted on March 23, 2011, in Video Games and tagged GamerFitNation, Pax East 2011. Bookmark the permalink. Leave a comment.